Matching all E series faucets, Raindance E showerheads are a perfect addition to the E style world. The rectangular shape was chosen with the shape of the human body in mind – particularly the width of the shoulders. These new showerheads are available in three sizes, up to 17 inches wide, in chrome, brushed nickel and polished nickel. 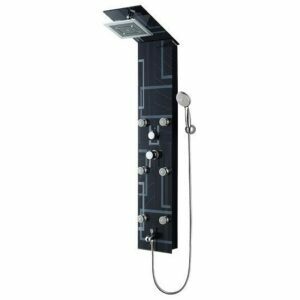 Thanks to their slim design and reduced height, the showerhead have a light appearance. The E 420 AIR 2-Jet offers the wide Rainflow Waterfall spray for an entirely unique shower experience.